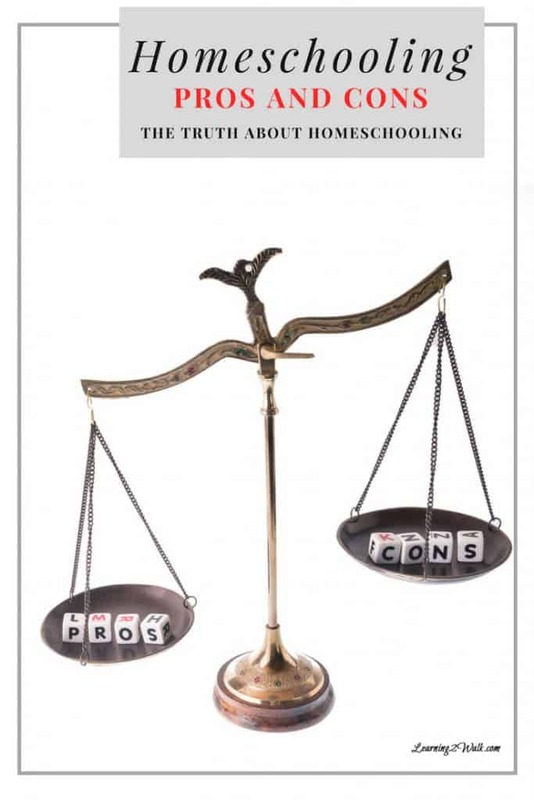 Ever wondered if there are any homeschooling pros and cons? Ever wished someone would be honest about everything instead of sugar coating their experiences? Hi, my name is Alecia, and I am a homeschooling mom of two kids. Oh yeah, and I have a love and hate relationship with homeschooling. Homeschooling is not for everyone. The same way that no 2 families are the same. I may be odd (okay maybe I am), but I always prefer to hear the bad news first, and I will start with that- the homeschooling cons. This goes without saying, but for some families, this will be a hard decision to make. There are so many pros for homeschooling and yet having your child on a school time might be substantial as well. In the end, you have to decide what is right for your child and what is right for your family. It’s not an easy decision. Then again, if sports is not a big deal in your family, don’t worry about it. Besides, there are other types of teams besides school ones. Let’s just call a spade a spade- if your kids are not in an environment with over 20 children five days a week, their chances of making friends is reduced significantly. If you have a little darling who is a social butterfly and thrives on interaction with kids, this is something you need to think about. However, both my children have friends, and it is possible to make friends even if your kids are homeschooled. Our children are rational beings and can see all the positives of homeschooling but I guarantee you that as major school events approach such as back to school, proms, dances, etc. they are going to rebel. Jael has already been asking to go to the local French school.Because I know this will be a reoccurring issue on our homeschooling journey, I have prepared myself with four ways to respond to my homeschooled child wants to go to school. Homeschooling is not a walk in the park. You cannot just say that you will skip teaching your child how to read this week because you homeschool. If you don’t teach your child, then guess what? You don’t have a teacher at a school to blame- you have to blame yourself. You have to be disciplined and organized. You need to lay down rules and set a routine. You need to ensure that you teach your child no matter what homeschooling approach you choose- be it classical education, Montessori, etc. This is when you walk away and pray that you don’t snap. Yeah, did I mention that homeschooling can make or break you as a parent? If you also don’t have a routine, you run the risk of not scheduling breaks. Breaks are necessary not just for your kids but you. Breaks ensure that you don’t go psycho on your kids or turn into the Hulk when they have read the word ‘short’ as ‘shirt’ five times in a row. Alright, so I have been honest about the cons portion of the homeschooling pros and cons I have experienced so far. The pros are oh so much better, and they remind me when I have self-doubts about homeschooling my kids. Let’s be honest, how many parents do you know that wich they could spend more time with their children? Luckily, I have the chance to spend time with my kids! I am able my kids grow and develop into the little humans that they are. I have seen my daughter go from insanely shy to letting everyone know that she plays hockey. As a parent, I am responsible for raising my kids right and instilling proper values into them. Very often public school teachers will often have the same values. But, it is ultimately my responsibility to make sure that I have taught my children. Homeschooling guarantees that they will have them. If you are a family that prefers to sleep in- embrace it! You won’t be late for school. You can start school in the afternoon if it is a better fit for your family. Homeschooling allows you this flexibility.Need to make a quick road trip or a spontaneous vacation- you can take a break to ensure that your family spends quality time together. In our case, we homeschool from Tuesday to Friday. Why four days and not 5? Simple, Mondays are our relax days; Saturdays are hockey days and Sundays we have church.You also get to set your holidays, as well as follow your child’s pace. What if your child finishes a grade in half the time that a school would? Would you let them wait until the next year? Nope, you can keep up with them. Unfortunately, school bullying is on the rise which can make a school a hostile environment to learn in. Now there is no guarantee that your child will be bullied or will be a bully, but homeschoolers don’t have to worry about it at all in the context of learning. There might be some subjects that your child would like to learn about that do not fit into the curriculum of the public school. There might also be times when your child would like to explore a subject more deeply at school, but the teacher might need to focus on other kids in the class that might be struggling. Class sizes in many schools are becoming increasingly large. Large classes mean that the teacher to student ration might be higher than what is necessary for effective learning to take place, especially if your child is struggling. The same thing happens if your child is not struggling: teachers in public school have to stick to the pace of the average student in the class. Depending on the size of your family, your student teacher ratio while teaching your child at home will be extremely low. Meaning there will be plenty of time for one on one interaction. 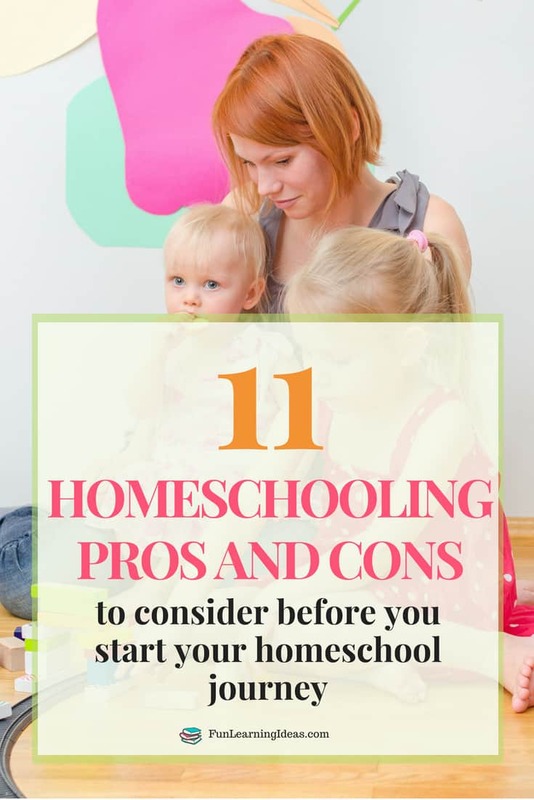 Hopefully, these homeschooling pros and cons that I have discussed will help both you and your family decide of homeschooling is indeed a fit. Make no mistakes; it is not an easy journey, but it is indeed rewarding. It also depends on the child as well as the opportunities to make friends.